A Georgian fashion said to be inspired by George IV's illicit love for the widowed Maria Fitzherbert. 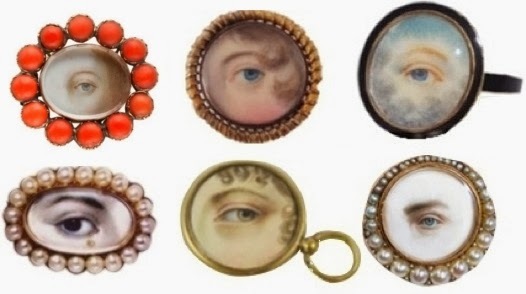 He had a habit of surreptitiously wearing a miniature of her eye beneath his lapel. Opalescently beautiful and compelling en masse. Collective term? A gaze of eyes? A lash?